In this guest post by Anna Smit, author of Love Embraced: A Journey in and through Suffering, shares tips for dealing with caregiver PTSD. I was diagnosed with PTSD in April, 2015, a year after losing my mother to glioblastoma multiforme, one of the most deadly forms of brain cancer. What many people don’t realize is that PTSD is not just an illness that war veterans suffer from. It is also an illness many caregivers of loved ones suffer from, often without diagnosis. Unbeknownst to myself, the time I had spent taking care of my Mum, together with hospice nurses and other family members, in the final weeks of her life, far from my husband and eldest daughter, had taken their toll. 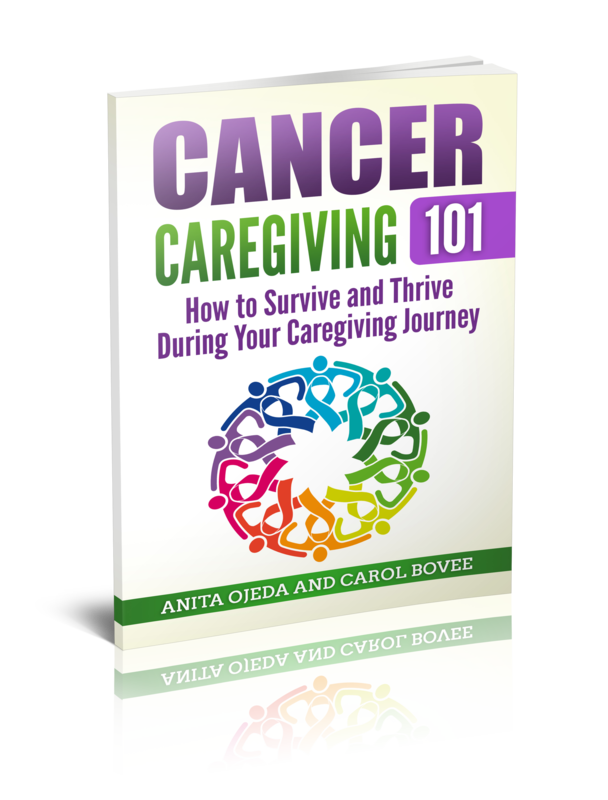 If you have ever taken care of a loved one with a terminal illness, you will know that during the illness, it is hard not to become completely focused on the care, repressing any and all feelings that get in the way, which is exactly what I did. But I didn’t just do this at the time, but also thereafter. I returned home, to the other side of the world, and dived straight back into my part-time teaching position and motherhood, until the exhaustion became too much and I handed in my resignation. My body was spent from the months of repressing strong emotions, an inexplicable tension holding my body captive. The images, sounds and smells of my mother’s final hours, too horrible to share here, crippled me into a state of traumatized shock and deep, deep fear and grief. I sat there thinking that if this is what life looks like, if this is what the life of those who love and serve the LORD looks like, then what hope was there, what was there to live for. I was utterly overcome, blinded to all love and affection, all blessings of family and friends. The more I read this passage, the more my tears flowed. I read this and finally, finally started to understand just how deeply I am known and loved. • Jesus is holding onto me and will NOT let me go. • Jesus is working in me to make me “upright” and thus worthy to stand before my Heavenly Father at the end of time, that His work of righteousness will be completed in me to cover the shame of ALL my sin because of His Great and Perfect Sacrifice in Love. • Jesus is also working to make me “whole”, to bring restoration and healing where now pain, heartache and fear reside. • My mother’s body and mind are no longer unbearably broken, that she is now standing before the throne of God, the Father, “whole” and “complete”. ALL I have to do is “trust, “lean on, feel safe or secure, to be confident in” Him (John J. Parsons). He tells me that by abiding in Him, I will no longer hunger or thirst. This deep dark valley led me to seek professional help, through which God moved powerfully to begin healing and restoration, not only from the months of watching my Mum suffer, but also from crippling, repressed childhood memories. • Send them links to worship music that speak of God’s Presence in fear, hurt, trauma and grief. One of the songs I played the most was Kari Jobe’s I Am Not Alone. • Encourage them to express their anger, ensuring that they know that anger and in fact all human emotions are in and of themselves not a sin. If opportunity affords itself, sit down to go through Biblical examples of people expressing their anger before God (e.g. David, Job, Jeremiah) and let them see how being real before God, allows Him to unearth and minister to the hurt, trauma and pain that so often resides beneath anger. Often, PTSD completely disables one’s ability to process emotions adequately. Traumatic experiences are crystalized into cocooned memories at the time they originally experienced. This means that any time these old memories are triggered, it is as if you are experiencing the original horrible experiences all over again, as you become trapped in the old emotions and untruths attached to these old memories, being blinded to the present (safe) situation and truths of God’s Presence and Love. But this is where God’s Word and Spirit have the power to break through and open us up. One incredibly powerful tool we can use is the Biblical Lament. Margaret Feinberg has a very useful step-by-step instructions to write your own lament. I’d encourage you to share this with the person you know, who is struggling through PTSD: What To Do When You’ve Got An Achy Breaky Heart with God. • Gently encourage them to seek professional help, offering to go with them the first time, if they have nobody else to accompany them. And as they go through therapy walk beside them through it, don’t assume you’re no longer needed. If anything, even more support is needed at this stage. • Stay in communication with them, when you don’t know how to respond to what they share, show your love through hugs, cards, practical help (like offering to look after their kids) expressions like: “I don’t know what to say, but just know that I love you and am here for you.” Silences pierce more than usual for PTSD sufferers: they already feel very isolated, alone and guilty for needing extra support. • Avoid telling them to “be strong in the LORD” and that if they were to trust God more their grief or anger would subside. Whatever you do, don’t discourage them from showing emotion or make them feel guilty for crying, being fearful or angry. Trusting God is actually daring to express all of our emotions before Him, just as Jesus did in the Garden of Gesthemene, so that He can bring us peace, hope, comfort and healing. • Encourage them to pursue creative outlets, such as writing, drawing, singing, playing an instrument…and to spend time outside in nature. These are all things which God can use to help us to uncover and release pent-up emotions. And enable them to do such things by dropping round to take care of their kids, or dropping off a meal or doing something to give them the time to pursue creative or outdoor activities. Lastly, I’d like to thank those of you who are walking beside someone with PTSD. I know that it is a big burden to bear. Please ensure that you too seek support from others, as you minister to your friend, family or church member. And when you need to, step back and recoup, being sure to communicate your need to do so with the one suffering from PTSD. Above all remember to keep pouring your hearts out to God, letting Him guide and strengthen you. If you are interested in reading more about my journey through suffering into God’s Mighty Arms, you may like to pick up a copy of my book Love Embraced: A Journey in and through Suffering, which recently released on Amazon. Below you can find a description of the book’s contents. – working through repressed childhood memories. – strength and deep joy. Anna Louise Smit is a Kiwi-Dutch wife, mother, author and writer. She blogs about the Love of God in her life at Joy of the Spirit Within. Anna shares vulnerably of her journey through grief, fear and PTSD to encourage others struggling through similar circumstances. She wants them to know and experience God’s Presence in the depths of their suffering, a God who is yearning to bring them hope, comfort and healing. Anna’s first book, Love Embraced: A Journey in and through Suffering was released on Amazon last week. What about you? Are you a caregiver and think you may have developed PTSD? Do you know a caregiver who might be experiencing some of these symptoms? Please share this article with them!